Gullixson will lead the strategic communications media, social media and graphic design team and serve as chief communications officer and public information officer overseeing campus-wide and executive communications. He also will be responsible for the overall integrated marketing and communication efforts, including community relations and advocacy. For nearly 20 years, Gullixson has worked as an editorial writer and columnist for The Press Democrat in Santa Rosa. Since 2007, he has served as editorial director, managing the newspaper’s editorial and opinion pages and overseeing all opinion-related content on PressDemocrat.com. In addition, he frequently organizes and moderates public forums, including a panel discussion at Sonoma State in September on “Fake News and the First Amendment,” which was cosponsored by the Press Democrat, the Sonoma State Star and the First Amendment Coalition. 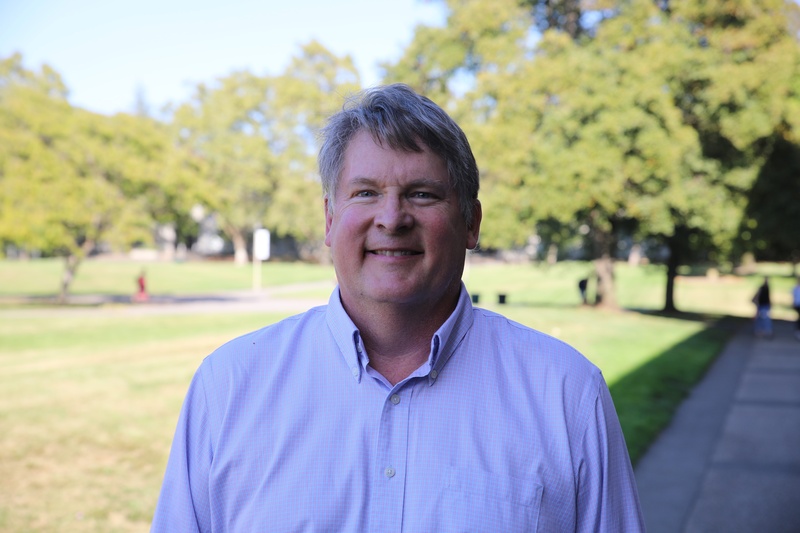 For the past five years, Gullixson also has been a lecturer at Sonoma State University, where he teaches a Newspaper Writing and Editing course and serves as faculty adviser to the Sonoma State Star, the campus newspaper. He also has taught courses in web and print journalism and media ethics and law. Before joining the Press Democrat in 1998, he had served as Peninsula bureau chief for the San Francisco Chronicle, editor of the Palo Alto Weekly and editorial page editor of the Peninsula Times Tribune. He has written two books and won numerous journalism awards, most recently for editorial/column writing from the California Newspaper Publishers Association in 2016. He holds a bachelor’s degree from the University of Oregon School of Journalism.